Amoena Silicone is synthetically made from natural raw materials such as sand and coal. Silicone is kind to the skin, soft, water-repellent, and resistant to both chemicals and heat. Great for anyone who wants a light and reliable fit. Silicone is synthetically made from natural raw materials such as sand and coal. Silicone is kind to the skin, soft, water-repellent, and resistant to both chemicals and heat. Great for anyone who wants a light and reliable fit. Shop Medical Department Store for the best selection of American Breast Care Breast Forms. Silk Breast Forms are 30% lighter than traditional silicone breast forms. All silk breast forms offer a natural drape that is not found with other breast forms. Leisure Breast Forms do not irritate sensitive skin, are completely washable, and are lightweight to provide the ebst comfort possible. Swim Breast Forms are designed for comfort on land or in water. Mastectomy swim forms can be used at the beach, in a pool, or in a hot tub. Please view the sizing charts below to help you fit your Breast Form or Bra. Our (BOC) Certified Fitters are always available for Consultation at (941) 497-2273 or 1-866-218-0902. 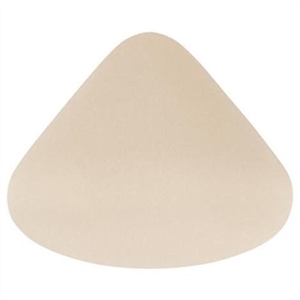 Breast forms are available in Silicone, Gel, Foam, and Fiberfill. prevent back and neck pain. The Fiberfill Gel and Foam breast forms are very light. today prefer the lighter silicone forms. Several companies also manufacture Attachable Breast Forms. This type of form adheres directly to the chest wall and can stay on for several days. women have many choices available to get that perfect fit! When a woman has had a lumpectomy with a small amount of breast tissue removed, a partial breast form will fill in the space in her bra. These are silicone shells with a natural feel and look.